A Philadelphia rental agent is a great resource in renting,leasing, or managing your Philadelphia property. Often owners are too busy to effectively manage the rental process. A good Philadelphia rental agent will advertise across many venues to ensure that your property gets as much exposure to the market as possible. After all, the more traffic you get, the more options you will have when it comes time to select a tenant. Once a tenant is located, the Philadelphia Rental Agent will have the prospect complete a rental application. Landlord references / prior rental history, income, credit, and criminal background will all be carefully examined, then the results will be forwarded on to the owner, along with a recommendation from the Philadelphia Rental Agent. The next step is lease signing. Unfortunately, deals can fall apartment at this stage due to differences in opinion with regard to lease term, renewal clauses, and a plethora of other issues. Again, that’s where your Philadelphia rental agent comes in to play. 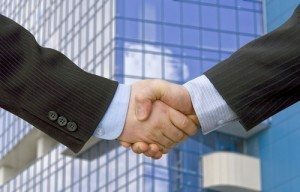 The agent’s job is to broker a satisfactory deal between both parties, without either party coming out of the deal feeling slighted or cheated. This may sound simple – but it’s not. It takes years for an agent to perfect this skills, and that is a huge part of his or her value to the client. Does the Philadelphia Rental Agent have access to local market information, so that a competitive market analysis can be completed for my property? 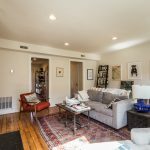 Does the Philadelphia Rental Agent have fee structure which is in line with the competition? If not, is there some other mitigating factor? Does the Philadelphia Rental Agent have a good track record? Make sure to check reviews on popular sites such as Zillow, Yelp , and Google. Remember that one or two subpar reviews does not necessarily mean you shouldn’t use that Philadelphia Rental Agent. What you’re looking for here is how the majority of people feel, there will always be outliers. Does the Philadelphia Rental Agent have client references which he or she is willing to share with you? If not, you should be wary. Set goals with your agent right away. If you are expecting to have your property rented in 30-45 days, communicate that to the rental agent. Often clients get upset and frustrated with agents when they haven’t performed in a certain amount of time; however that time period was never communicated to the agent at the beginning. Read your listing contract carefully prior to signing. 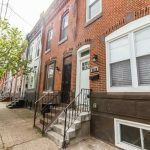 The listing contract which you sign with your Philadelphia Rental agent establishes the guidelines of your relationship and covers topics such as term,commission, and recourses in specific situations. Stay in touch with your Philadelphia Rental Agent. Feel free to email or call your agent for status reports and solicit feedback to see if there’s anything you can do which will assist with the rental process. Whether you choose JG Real Estate for your Philadelphia Rental Agent needs or not, be sure to follow the above guidelines to ensure a successful relationship with whomever you choose!